Did you know that approximately 10% of the world’s population is vegetarian, and that India has the lowest per capita meat consumption in the world? On Oct. 1, we celebrate the benefits of being a vegetarian and admit that the meatless lifestyle can actually be awesomely delicious. So get out the carrot sticks, tofu, cheese pizza, veggie burgers, and other meat-free delights, because it’s World Vegetarian Day! Even if you're not a vegetarian, become one for a day. Bring some vegetarian food to share with your office or school mates. Don't want to put in any extra effort? Buy a ready-made veggie tray. Everybody loves veggie trays—even the most avid meat eaters. Are you the type of person who skips over the vegetarian section of the menu without so much as a cursory glance? Today, take the opportunity to explore the veggie offerings, and opt for a meatless meal. Who knows? Maybe it'll be more delicious than that steak. Some of the freshest and most delicious vegetables and fruits can be found at your local farmer's market. With fall in the air, you're sure to find a diverse offering of meatless foods to appeal to any taste or mood (including pumpkin!). Going meatless not only spares animals — it also conserves fossil fuel. Did you know it takes 78 calories of fossil fuel to churn out 1 calorie of beef, but just 1 calorie of fossil fuel to produce 1 calorie of soybeans? That's 780% more efficient than meat production! 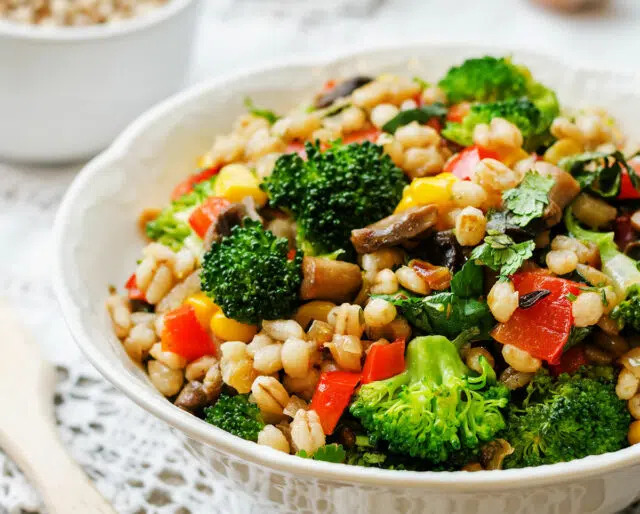 Vegetarian diets typically involve consuming lots of the good stuff you can't always find in meat: fiber, folic acid, vitamins C and E, magnesium, unsaturated fat, and tons of phytochemicals. That translates into lower cholesterol, reduced risk of heart disease, lower blood pressure, and a healthier weight. Meatless diets get a bad rap for being bland and tasteless — but that's not always true. Almost any vegetable can be turned into scrumptious veggie-based pancakes. Pizza (as long as it doesn't contain sausage) is totally still an option. Ice cream is good to go. Who said vegetarians can't have fun?